However, you only played $5,061.90 before making your $7,500.00 withdrawal request (you need to play $13,423.65 more). Keep in mind, any redemption request made before the wager requirements have been meet will result in forfeiture of remaining bonuses and the requested amount will be flowed back to the account balance. As stated, your withdrawal funds have just been put back in your bingo account in order for you to play and meet minimum rollover to cashout. i played at Vega and always received my payouts on time but i do always review the wagering requirements before i request the payouts. I was very naive a while ago. If you met them there is no way for them to decline the payout. this is my suggestion because the same will happen in any other bingo-casino-sports betting site if you dont check the requirements to cashout. wow that all sounds so familiar, they told me the same thing but they never paid me . They gave me my last 3 deposits back and closed my account thinking they would get rid of me but I will do anything to get players to stop donating to a dishonest site. Good luck on getting your money because they are nothing but scammers. The best thing that could happen is for their gambling license be taken away. I wish you the best of luck. PS: they will always say you didnt wager. here is my decline:and I only deposited 25.00 and was told I still didn't wager. The funds will be received within the normal time frame as mentioned to you on the phone, 7 to 10 business day. The funds should arrive by the end of this week. As you know bonus rules have to be met in order to withdraw and have the funds sent to you. However, you did not meet the minimum wagering requirement and you should play $376.75 more in order to cashout. $49.95 + $49.95 + $49.95 = $149.85 x 20 = $2,997.00 (this is the amount you must have wagered before requesting your pay-out in order to have it approved). However, you only wagered $2,620.25 before making your withdrawal request (you need to wager $376.75 more). Keep in mind, any redemption request made before the wager requirements have been meet will result in the cancellation of the pay-out request and the funds will be flowed back to your account in order to complete the minimum rollover. Hi Sandy , I am glad to hear you always received your cash outs on time.My players name was yoyodidit when I played there. Maybe we know each other. What is your players name? So you’ve just won a huge jackpot, or you’ve decided to try your luck elsewhere – no problem! “Hassle-free” cashouts is our ideology that makes it as simple to cashout as it is to deposit. It’s your money, and we want you to have it! We love to hear stories of our players winning, if you’d like to share your winning story please feel free to fill us in by contacting us. Who knows, maybe it will be featured on the site. Winning along with our hassle-free cashouts are what keeps our players coming back to enjoy the incredible experience that we’ve created at Bingo Vega. What are the rules for making a cashout? In addition, you should have the peace of mind that when you play at BingoVega, you’ll receive your well deserved winnings without delay and inconvenience. That’s why, as part of our new and improved cash out policy we now Guarantee your Cash outs. On this page, we’ve outlined clearly how we process your payout and what you can expect . 2 ) All BBs will be deducted upon a withdrawal request. This process is irreversible. 3) Payouts are reviewed and processed on Mondays only. 4) Bingo Vega guarantees that if a member has met the bonus wager rule, provided correct details and has sent in their player verification documents, the withdrawal payment request will be sent to the bank on Tuesday morning. 5) To ensure your payout is processed on Monday, all payout requests must be received on Sunday, 11:59pm EST. If payouts are requested after this time period, it will be reviewed and processed the following week. 6 ) Upon requesting a withdrawal, a member is agreeing to and accepting that he/she understands all of our withdrawal Terms & Conditions. A member also acknowledges that we only process payouts through the available payment methods featured on the withdrawal page of Bingo Vega. 7 ) Bingo Vega will only process ONE withdrawal per account per week. In an event a member having multiple withdrawal requests, on the same week, the Accounting Department will decline all subsequent requests and send them back to a member’s account. 8 ) The minimum payout request is $50 and the maximum amount will be subject to variation depending on the selected payment method. 9 ) To be eligible for a withdrawal, a member must have made one or more deposits of $25 in the past 30 days prior to the request of their payout. 10 ) Newbies who have not made a deposit, will not be able to request a withdrawal on winnings derived from the trial bonus. All newbies are encouraged to make a deposit of the minimum of $25 before planning to play for real cash prizes. 11 ) It’s a member’s responsibility to update accounting@bingovega.com with any changes to their billing address to prevent delays with payouts. 12 ) Bingo Vega reserves the right to edit, add or remove Terms and Conditions from the payout guidelines without prior notice to players. It is a member’s responsibility to periodically check the guidelines on the Terms & Conditions in order to be fully informed and up to date with every rule and thus avoid unnecessary discrepancies. -The request must be received by 11:59 p.m. EST Sunday in order to be processed on Monday. Withdrawal requests received after the deadline will be processed the following week. - If the first 3 steps ARE met, you will have your payout request reviewed on Wednesday, processed and sent by Friday. - If the the first 3 steps are NOT complete, you can expect to receive an email from accounting@bingovega.com for further details, which may cause delays with meeting the schedule as outlined above. How do I validate my account for speedy payouts? At Bingo Vega we know the faster you get your winnings the happier you’ll be, that’s why we encourage all players to send their account verification forms to the Accounting Department (accounting@bingovega.com) to prevent any delay with receiving your well deserved winnings. 3) Copy of the front and back of your credit card used to deposit at Bingo Vega (to confirm the name of the card and last 4 digits of the card match the card you used at Bingo Vega). Note: when making a copy of the back of the card the 3 digit verification code may be hidden. Not to worry, you just have to validate your account once. However, the Accounting Department from time to time may request random accounts on payout days with pending withdrawals for further verification as part of our security checks. This is a random procedure and there is no pre-determined selection process. Withdrawal payout costs are deducted from the withdrawal amount requested by the member at the time of processing. Please contact accounting@BingoVega.com for available withdrawal options and fee details. It is the member’s responsibility to inform accounting@BingoVega.com of any changes in billing address, e-mail address and phone number to prevent delays with payouts. also I have found somewhere they are traded on toronto stockexchange if anyone can confirm this and give me thier traded name a friend says thier might be a way to stop trading on thier stock I will be looking at this most definitly. I dont think they have changed thier practices they just use diffrent names for thier management. as for the girl who says they pay in timely fashion yes this is fine if you only have small amounts but if have large amount it will take you forever to get your money out of them consider you will always be having to submit every week becuse they only do withdraws once a week and it takes 10 buisness days to up to 15 days to get your money you do the math on when you would be seen your money ah on my 4000.00 i will be waiting well over 2 months to get my money how rude . I am so glad someone else sees this is a cheating site. They closed my account cause they thought it would be te best way to get me off their backs. Well I want my money and won't be going anywhere till I get it. As for Sandy saying she got her money without any problems, I doubt that. She never gave her players name either so I wonder if that is even true. as of today they have paid me only 1000.00 of the 4000.00 owing and 1500.00 in payments have disappeared they refuse to contact me and tell me where the payments are or what is going on with the missed payments or where the money went i submitted. I know that feeling. they still owe me so rather than pay me they closed my account! Every player has to know what has been going on at Bingo Vega but they still deposit there, WHY? this too will hapen to them.Players need to wake up and stop letting Vega from sitting back and get rich while they are stealing your money!!! UMMMM THATS WHAT THIS BPU SITE IS FOR, TO LET EVERYONE KNOW WHAT SITES NOT TO PLAY AT. 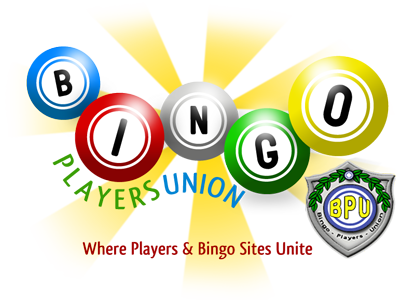 BPU HAS POSTED FOR THE PAST 2 YEARS ABOUT BINGO VEGAs FRAUDING BULLCRAP, ITS IN GREAT BIG FLASHING LETTERS DO NOT PLAY AT BINGO VEGA, YET PEOPLE ARE STILL PLAYING THEN COMMING BACK TO COMPLAIN?DO NOT PLAY AT BINGO VEGA!!!! TELL YOUR FRIENDS, FAMILY,& whoever else YOU CAN THINK OF. BPU HAS DID THEIR BEST AT TRYING TO LET EVERYONE KNOW, WE NEED TO SPREAD THE WORD BINGO VEGA WILL STEAL YOUR MONEY!! !